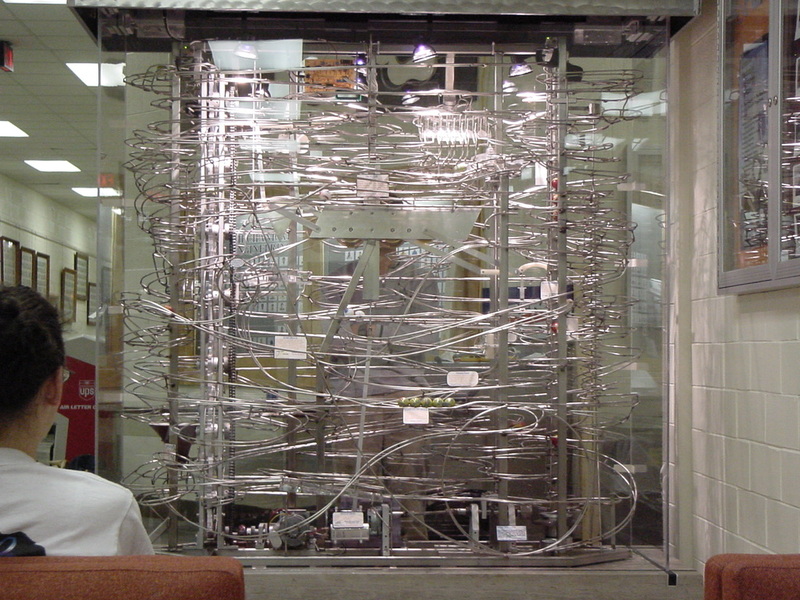 The Mechanical Demonstrator is currently on display on the Virginia Tech campus in Randolph Hall, the location of the Mechanical Engineering Department. If you have engineering ambitions, be sure to check out Virginia Tech! The Mechanical Demonstrator is a very complex system which touches on every aspect of engineering in some way. The demonstrator operates between class changes and on-demand using an exterior switch. The display has been in operation for 4 years. An ever-present topic of conversation, the Mechanical Demonstrator has become a part of the department and continues to inspire young engineers to think more creatively. The Mechanical Demonstrator was designed to show Mechanical Engineering students how the principles learned in class could be related to motion. 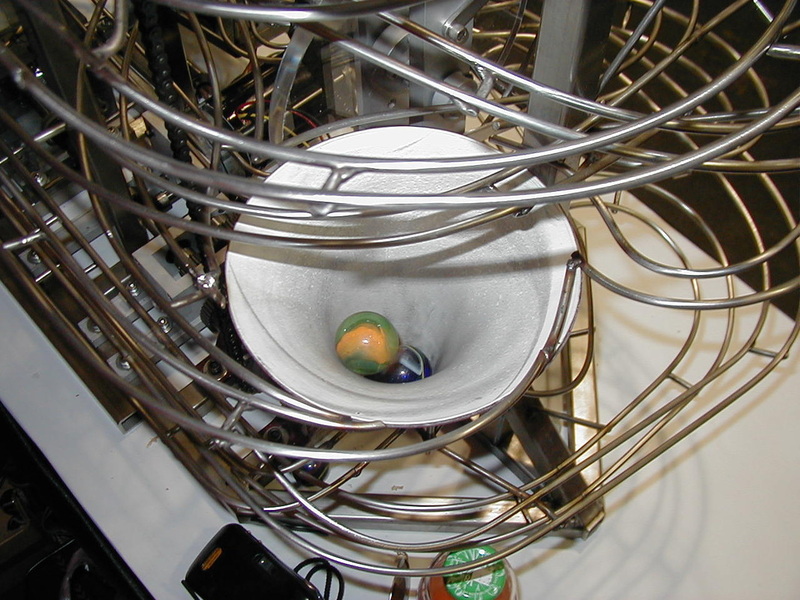 The balls that supply the disk lift converge in this funnel-shaped ball collector. 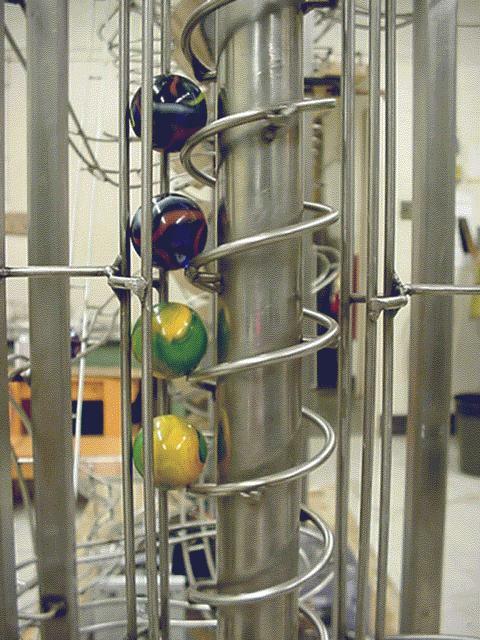 The Mechanical Demonstrator's screw lift moves four glass marbles to a higher potential.